When diagnosed with a serious illness, your mind may be suddenly flooded with negative thoughts such as, “I’ll never get better”, “I’m not strong enough to handle this”, “I don’t deserve this”. If you truly believe all of the negative thoughts you’re allowing your mind to hold onto, your pessimism may keep you from feeling better or prevent you from healing. 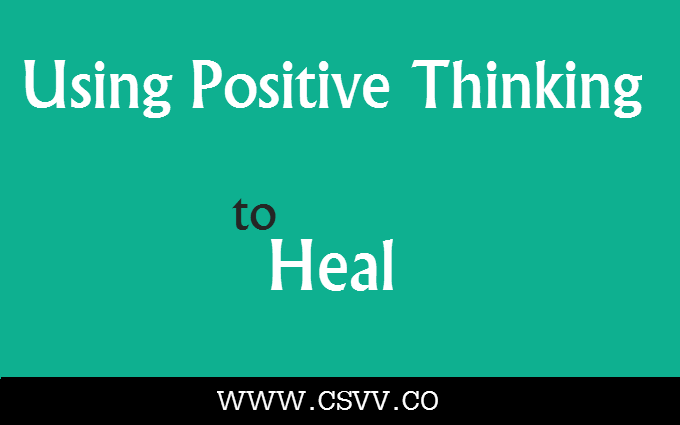 For years, researchers have been trying to explain the correlation between positive thinking and better health and while difficult to pinpoint, positivity can be a catalyst in healing; a lot has to do with positive thinking having a positive effect on an individual’s immune system. While some individuals are hardwired to think positively, for others it can be a challenge, particularly when life has been changed by a major health concern. If you’re not a naturally positive person, who can see the silver lining in all dark situations, meditation may guide you down the path of positive thinking. Buddhist meditation is a popular and effective form of meditation for individuals facing physical and mental health challenges, including serious or terminal illnesses. The Buddha prescribed the Dharma to overcome suffering and delusions and through the Dharma the mind should become tame and free from negative emotions and we have the responsibility to transform our own minds. According to Buddha, the mind creates matter, illness, and wellness. Since our egos can be overpowering, methods for overcoming includes the four noble truths: truth of suffering, causes of suffering, cessation of suffering, and the path to the cessation of suffering (which is a way to eliminate suffering. By controlling one’s mind and overcoming negative emotions, illness can cease, but it’s also important to deal with illnesses that arise as it’s human to be vulnerable with illness. Modern medicine as well as Buddhist meditation can be complimentary when trying to heal from serious illness. Along with meditation comes visualization, which can be a powerful aid in healing. There are numerous methods to visualize, one includes an emanating ball of white light above your head. You can imagine this white light spreading throughout your body and getting rid of all sickness. As you concentrate on the white light, you will positively view the image of your body as completely healed. Often times, white light visualization is accompanied by holy images such as deities (and practicing Christians may even visualize their own holy images). Another way to think positively is by viewing your illness as a way to become more compassionate and viewing life differently. Some individuals accept their “taking on their sickness” so that others don’t have to suffer. Illness has helped many patients grow spiritually and as a result become filled with wisdom, compassion, and enlightenment, which brings great benefit to oneself and allows one to think and work for others: the state of ultimate healing. Amy Patterson is an avid reader on trending topics and a writer in her spare time. On the beautiful coast of North Carolina you will usually find her catching up on the latest news with locals or on the beach with her niece and nephew. She grew up in a rural community where she helped her father work on vehicles. She loves to write pieces on health, fitness, and wellness.